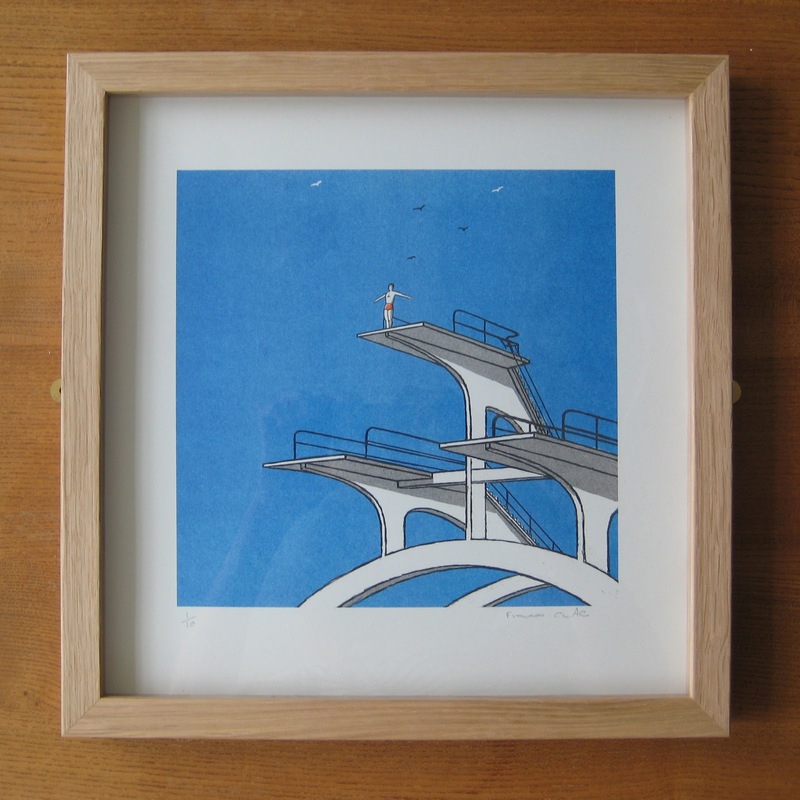 Darren Hayman's Lido is sold out on line. We have saved a few for the event at Rough Trade East on (this) Monday 3rd Sept. It is free and starts at 7.00pm and as well as an exhibition of of the artwork from the Lido Album Darren Hayman will do a special in-store performance. 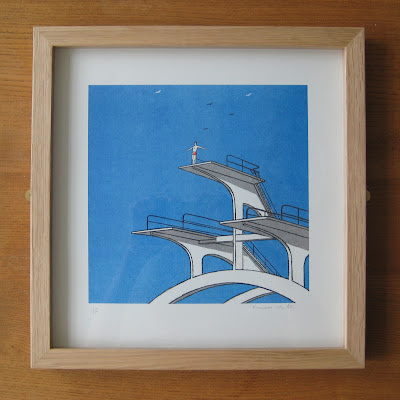 The Exhibition will run until the 16th Sept.
Darren will be selling framed watercolour paintings from the booklet of Lido, and I will be selling Risograph prints (framed and unframed).